A fresh-scented deoderizer spray for eliminating odors. 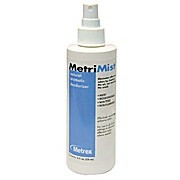 Eliminates offensive odors by cleaning the air, non masking the smell. Environmentally friendly alternative to aerosol air fresheners. Biodegradable and nontoxic. Non flammable, cost effective.